What is a provocation? A provocation can come in many different forms, but it is always intended to provoke thoughts, ideas, and actions that can help to expand on a thought, project, idea or an interest. Provocations, by nature, tend to provoke thoughts, ideas, and actions. It may seem obvious, but it’s an important aspect of the Reggio Emilia approach to child-centered education. Provocations allow and encourage children to experience the world for themselves through open-ended activities without being overtly guided by a teacher or parent. The idea behind provocations is to encourage children to think independently by encouraging their interests and the exploration of those interests. In this sense, a provocation is very different than the somewhat similar concept of an invitation. Invitations, another common concept found in Reggio Emilia-inspired schools, are a more direct piece of encouragement for exploration to children. Either written or verbal, through invitations a teacher asks or invites the child or class to think about or explore a concept. In Reggio Emilia, this is encouraged, but what is preferred in a child-focused learning environment is to encourage the child to begin “to do” in order to learn more about something through action or occurrence. For instance, a provocation is an experience set up in response to a child’s interests and ideas. This could be through a photo, picture, or a book, or even through questions or an event that encourages a child to make an action. It’s this invitation to exploratory action that distinguishes provocations from invitations in childhood education. In childhood education, the term Provocation is derived directly from the practices of the Reggio Emilia-inspired approach. As the basis of Reggio Emilia is to encourage intellectual exploration through a variety of means, it should not be surprising to learn the origin of provocations stems from here. After all, one simply needs to look into a Reggio Emilia-inspired classroom, and they will find a myriad of provocations. Children in Reggio Emilia classrooms are near constantly guided by provocations that stimulate their ideas and initiate their imagination, whether they’re in groups or working alone. For example, the classroom in Reggio Emilia is designed to act as the third teacher, and it accomplishes this by continually encouraging exploration from the children who attend it. The classroom acts as a flexible environment that is responsive to the needs of both children and teachers. 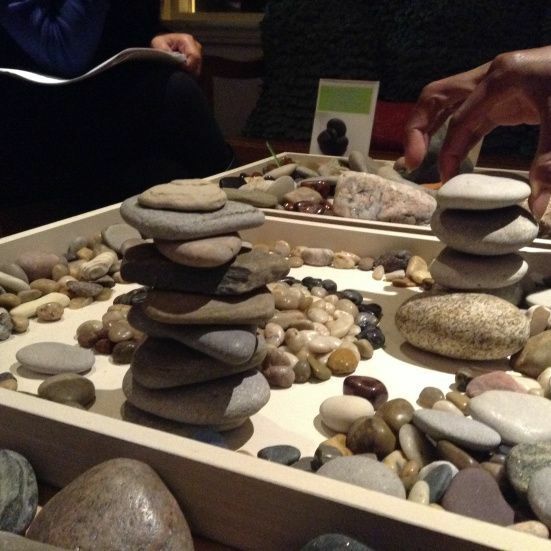 Through the utilization of different materials, art, light, and even furniture, a Reggio classroom tends to provoke children into open-ended outcomes. Whether it’s inside or outside of the classroom, provocations stimulate ideas as well as provide and encourage imagination amongst children as they learn more about the world around them. Provocations also help drive children to come to their own conclusions about the things around them, as opposed to being told what exactly something may be. Reggio-inspired teachers may approach provocations differently from classroom to classroom, and that’s okay! One of the most crucial aspects of a provocation is that there is no “wrong” outcome of a provocation. They are open ended jumping off points for children to investigate, which is the more explicit difference between invitations and provocations. Invitations have a desired outcome, rather than gently encouraging exploration. This can be a fine line to walk. For instance, many classrooms have a literacy activity center, where there are explicit learning goals. This could be tracing letters or through instruction-based activities like word study, or providing letter forms for tracing. Alternatively, with a provocation-based learning center, children may just be given a slight bit of encouragement through open-ended writing practices. In these instances, children would be provided just the materials (paper, shapes, loose parts, clay, writing utensils etc.) and a prompt without a specified outcome, despite the obvious intention of the educator to teach. When planning to create provocations for your child at your home, get creative! The more unique the materials, the more engaged your child may be. Educators tend to use nature based elements, everyday household items, and other repurposed materials, but don’t let those examples dictate what you do with your child. In fact, there really is no magic formula of how to make a provocation, only suggestions on materials to use. At the end of the day, any material or object can be used to provoke thought, discussion, questions, and interests from children. Educators like to use natural materials to provoke, as they tend to deeply appeal to both us and our children’s senses. From colors, smells, textures — and even tastes for the particularly curious — there is so much to provoke engagement. Natural materials may include things like pine cones, seeds, leaves, sticks, nuts, and shells. As long as the materials provoke an open-ended question that allows for a means of expression where possible, then the item is suitable for a provocation. This could be something as simple as a photo of a rock sculpture or as elaborate as an assortment of different materials in a basket, but the end goal remains the same. Once you’ve decided what materials to use in creating your provocation, take a few moments to reflect on the items you’ve chosen and the arrangement they’re in. Think about how the activity looks, and ask yourself a few questions; Does this make you want to investigate as well? Would you be attracted to an activity like this? Is everything accessible and clearly displayed? Do you have an idea of what you would do with an activity like this? It may also be helpful for you to provide some loose structure to the activity. This can be accomplished by defining the specific work area for the activity to take place. This may also serve to draw your child’s attention in, given that they will move to that area. Some approaches to this may be through using a small cloth placemat or by using a hard surface like a table for building blocks. You may also be interested in using a clipboard for observational drawing or a kitchen tile as a surface for using clay or playdough. As long as the activity encourages the imagination of the child in an open-ended manner then it can be considered a successful provocation. Do you have any questions about creating your own provocations? We would love to share our expertise with you. Contact us today!